Oleh Hornykiewicz was born in Sychiw, then Poland, now Ukraine, in 1926. He studied medicine in Vienna, Austria, and received his M.D. from the University of Vienna in 1951. Hornykiewicz began his academic and research career in the Department of Pharmacology of the University of Vienna in 1951, where he was promoted to Univ.-Docent in 1964. From 1956 to 1958, he held a British Council research scholarship at the Department of Pharmacology of the University of Oxford, England. In 1967 he moved from Vienna to Toronto, Canada, to become Head of the Department of Psychopharmacology at the Clarke Institute of Psychiatry and full Professor of Pharmacology and Psychiatry at the University of Toronto. In 1976, Hornykiewicz moved to Vienna, Austria, as Professor and Head of the newly founded Institute of Biochemical Pharmacology of the University of Vienna. Maintaining his ties with the University of Toronto, he established, in 1978, the "Human Brain Laboratory", a new research section at the Clarke Institute of Psychiatry, which he directed until retirement ( professor emeritus, University of Toronto), in 1992. At the University of Vienna, Hornykiewicz retired as professor emeritus in 1995. Hornykiewicz´s research has centered on neurotransmitter function in normal and diseased human brain , with special emphasis on Parkinson´s disease and other basal ganglia disorders. In 1960, he discovered the severe dopamine deficiency in the brain of patients with Parkinson´s disease and initiated, in 1961, the first clinical trials of levodopa to treat this disorder. For his work in this area, on which he has extensively published, Hornykiewicz has received numerous honours, prizes and distinctions. 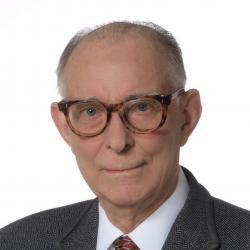 Hornykiewicz has been member of Scientific/Research/Medical Advisory Boards of 13 Research Foundations and he is honorary member of several professional societies. He is full elected member of the Austrian Academy of Sciences and the German National Academy of Sciences Leopoldina. Presently he is Distinguished Professor of Brain Disorders Research at the University of Saskatchewan at Saskatoon, Canada. Hornykiewicz was instrumental in founding the Center of Brain Research at the Medical Faculty of the University of Vienna, now Medical University of Vienna, where he continues to pursue his interests in human brain research. To receive specifically the Warren Alpert Foundation Prize, scientifically so closely associated with the Harvard Medical School and its Faculty - to me, it's like reaching the summit! You cannot possibly go further up.